You'll use a prepared texture file as the basis of your custom pattern. 1 Choose File > Open, and open the Texture.jpg in your Lessons/Lesson08 folder. 2 In the toolbar, make sure that the background color is white, and then choose Image > Canvas Size. 3 In the Canvas Size dialog box, change the units to pixels, and set Width at 780 and Height at 580. 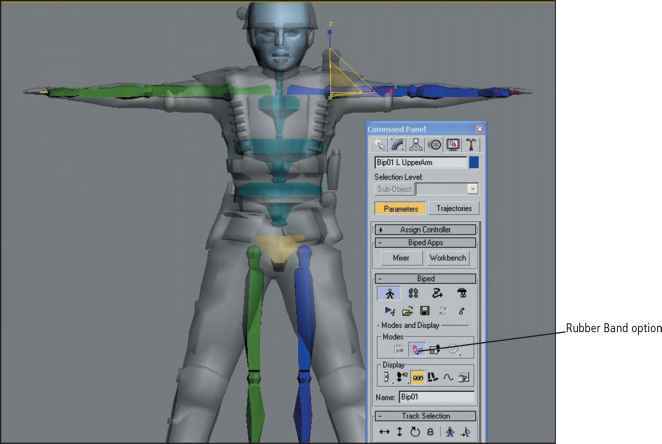 Then click OK.
4 Choose Filter > Pattern Maker. 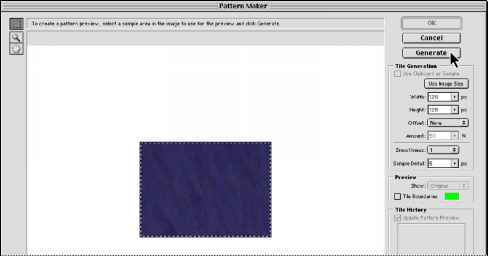 5 In the Pattern Maker dialog box, use the rectangular marquee tool ( ,) in the upper left corner of the dialog box to select a large area of the textured image. Be careful not to include any of the white background in your selection. 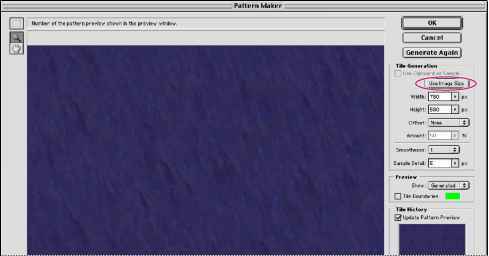 If you want to change your selection, hold down Alt (Windows) or Option (Mac) and click the Reset button in the upper right corner of the Pattern Maker dialog box (which appears as the Cancel button when you release Alt/Option); then make a new selection. 6 Click the Generate button. Notice the dimension information listed in the dialog box. The default tile size is 128x128 pixels, so that is the size of the pattern generated. 7 Under Preview (on the right side of the dialog box), select the Tile Boundaries check box. A grid appears over your pattern, displaying the boundaries of the individual pattern tiles, each 128x128 pixels. Click the Tile Boundaries check box again to deselect it and hide the grid. 8 Under Tile Generation (on the right side of the dialog box), click the Use Image Size button so that the tile size matches the image size. Notice that the dimensions in the Width and Height displays are now the same as the dimensions of the image. 9 Click the Generate Again button a few times to generate variations of your pattern. Then use the Previous and Next buttons at the bottom of the Tile History area of the dialog box to cycle through the patterns you've created. Select one of the patterns to use, and click OK. In the image window, a new, seamless pattern fills the entire canvas. 10 Choose File > Save As, and name the file Matte.psd, saving it in your Lessons/Lesson08 folder. Patterns can be saved and used repeatedly in any number of projects. Because you'll use this pattern just once, you won't bother to save it as a permanent pattern.